Relive your favourite Only Fools and Horses moments in this special edition of Monopoly. Travel around the board from series to series, remembering your favourite episodes including Mother Nature’s Son, Yuppy Love and A Touch of Glass. The Trotters have had their fair share of highs and lows and welcome you to relive it all. 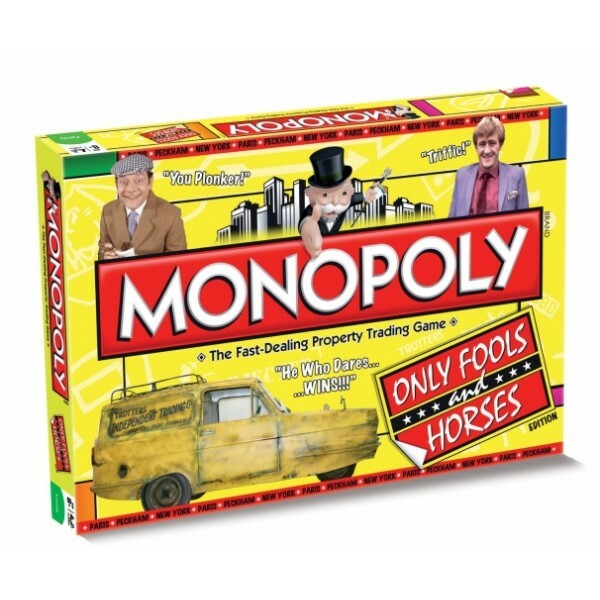 Trade your way to commercial success and become millionaires in Only Fools and Horses Monopoly! It’s lovely jubbly!